This small locomotive was built at the Forth Banks Works of the highly successful shipwrights Hawthorn, Leslie & Co. and appropriately was purchased by the Admiralty Dockyards for shunting stores and equipment supplying Royal Navy ships. Delivered new to the Royal Navy dockyard in Singapore, the locomotive incorporates an insulated double roof for working in high temperatures. The loco was captured when the base fell in 1942 to the shock and dismay of the nation. The loco is reputed to have incurred shrapnel damage in its right hand cylinder cover and boiler cladding sheets from the heavy fighting. These can still be seen to this day. After the war, in December 1953, the locomotive was returned for further use at Chatham Dockyards in Kent. The loco was numbered “Yard No.440” and this brass plate is still carried by the loco. Early dieselisation of the yards led the locomotive into preservation during 1972 at the South Eastern Steam Centre set up in the old steam sheds at Ashford in Kent. This scheme did not succeed and the collection was put up for sale. Purchased by two founder members in October 1978, SINGAPORE became the first working steam locomotive in the collection. A full boiler rebuild was carried out around 12 years ago funded by a PRISM FUND grant to enable SINGAPORE to continue to operate as a fitting and continuing memorial to the conflict in the Far East. We are grateful to the support of the FEPOW (Far East Prisoners of War) and COFEPOW (Children of Far East Prisoners of War) organisations. 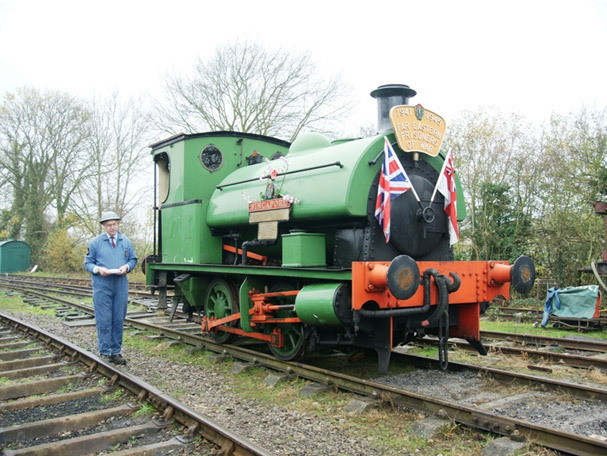 The locomotive was recently included as a registered War Memorial in a survey of the East Midlands. An appeal is shortly to be launched to retube the boiler of this locomotive to restore it to operational condition – likely to coincide with the 70th Anniversary of the fall of Singapore in February 2012. © Rocks by Rail 2019: The Living Ironstone Museum is the marketing and trading name for Rutland Railway Museum Ltd.